Courtesy of Allie Beth Allman & Assoc., Shelly Tillery. 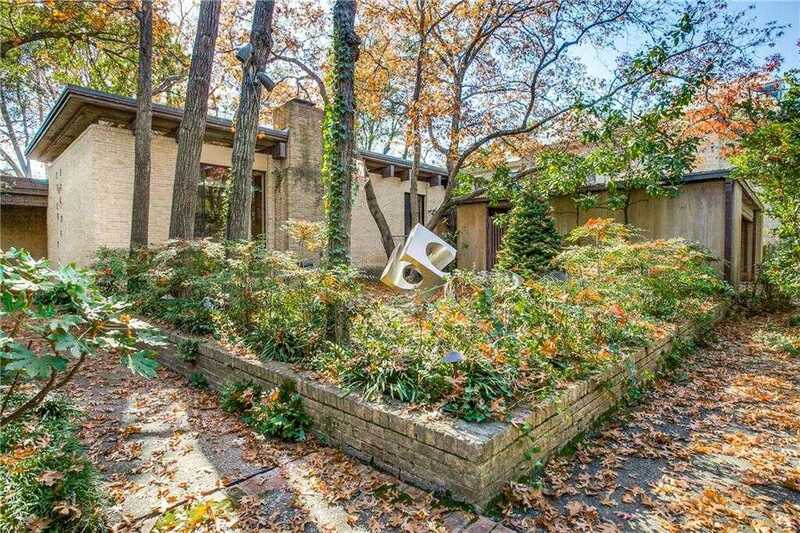 Nestled in Old Highland Park on a heavily treed oversized 80×208 lot, is an award winning 1964 contemporary by architect James Pratt. Lovingly maintained, this fabulously designed home also features stained glass by artist Octavio Medellin. This mid-century modern features soaring ceilings with huge windows and transom windows bringing the outdoors in as the house wraps around interior courtyard. Skylights also provide additional natural light. A unique opportunity to remodel this special home near Dallas Country Club and Armstrong Elementary. Please, send me more information on this property: MLS# 13979976 – $3,195,000 – 3717 Maplewood Avenue, Highland Park, TX 75205. I would like to schedule a private showing for this property: MLS# 13979976 – $3,195,000 – 3717 Maplewood Avenue, Highland Park, TX 75205.